The launch date of the GTX 960 draws closer than ever and leaks are occurring left and right. I recently received confirmation that Nvidia has given the go ahead to AIBs to begin seeding retailers with the graphic card. 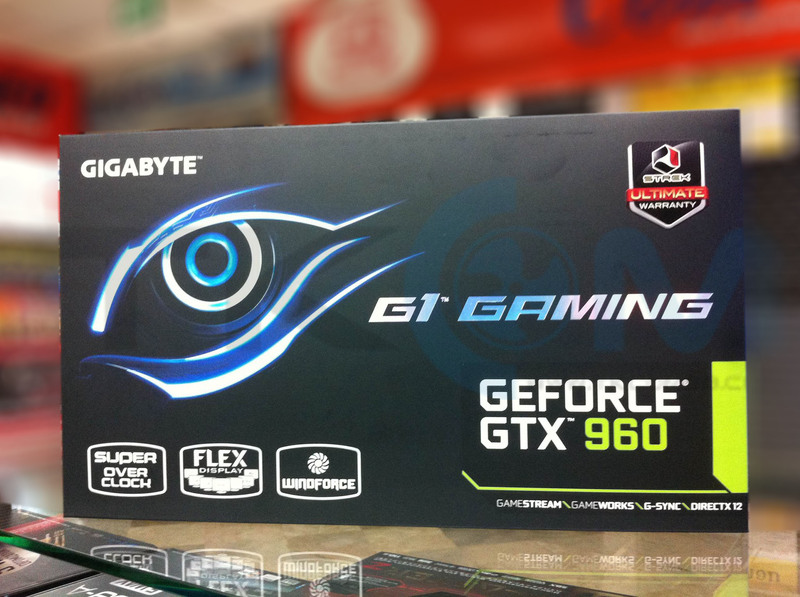 And thanks to our source we have pictures of the GTX 960 Box Art along with a picture of a stack of GTX 960 G1 Gamings. So far we have only seen the base GTX 960 in these leaks which indicates that the two higher Ti variants we told you about before might not be launching on 22nd of January but a later date. Needless to say, the base GTX 960 has relatively disappointing performance so users would be wise in waiting for the powerful variants to arrive. Since the retail channels have been seeded, leaks will become increasingly common. We already know more or less everything about the GTX 960 including the general performance region thanks to leaked benchmarks. 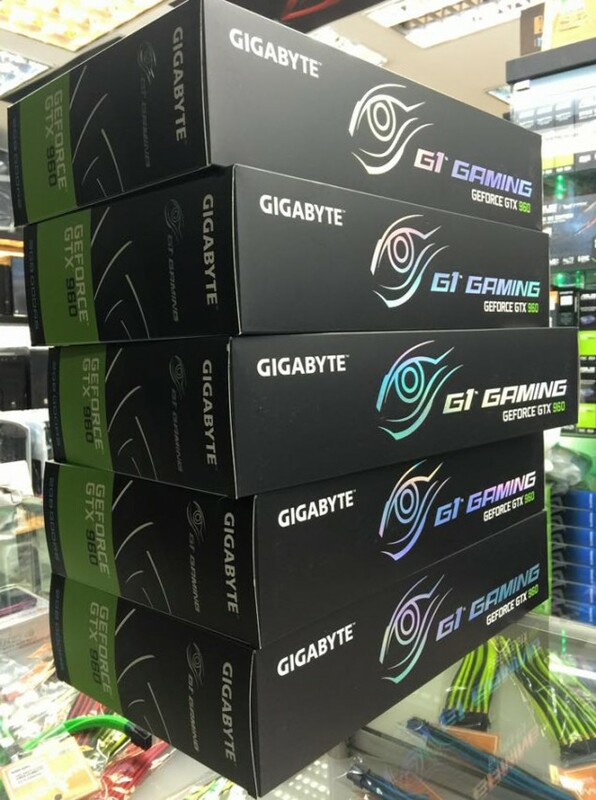 Now something very interesting that our source mentioned was the fact that the GTX 960 G1 Gaming costs ~$310 USD which is just insane, now before any scrapper quotes me on this, this is probably because our source is from Thailand where introductory prices are very high because of import duties. Still the price is a bit too high even after accounting for region differences, and I am not calling anything but lets just say I wont be surprised if the GTX 960 turns out to be more expensive than expected. Another explanation could be that AIBs are actually incorporating the Ti variants as the base variant (nomenclature is at their discretion in cases like this) and ditching the base chip completely. An argument against this the fact that the card supports 2GB worth of memory, which though compatible with a 256 bit bus usually indicates a 128 bit bus. A counter-argument could be that AIBs are deliberately keeping the vRAM low to avoid competition with higher end Ti models. Ofcourse this is all just silly speculation at this point with the launch so close, so I will let the readers decide for themselves. By the way, the SKU ID is “GIGABYTE-GTX-960-2GB-D5 G1-GAMING” in case anyone was wondering.